Dresden Lane: Fabric Saturday: Victory! Just had to share my exciting news! 2.5 yards of this gorgeous print is on its way to me thanks to eBay. 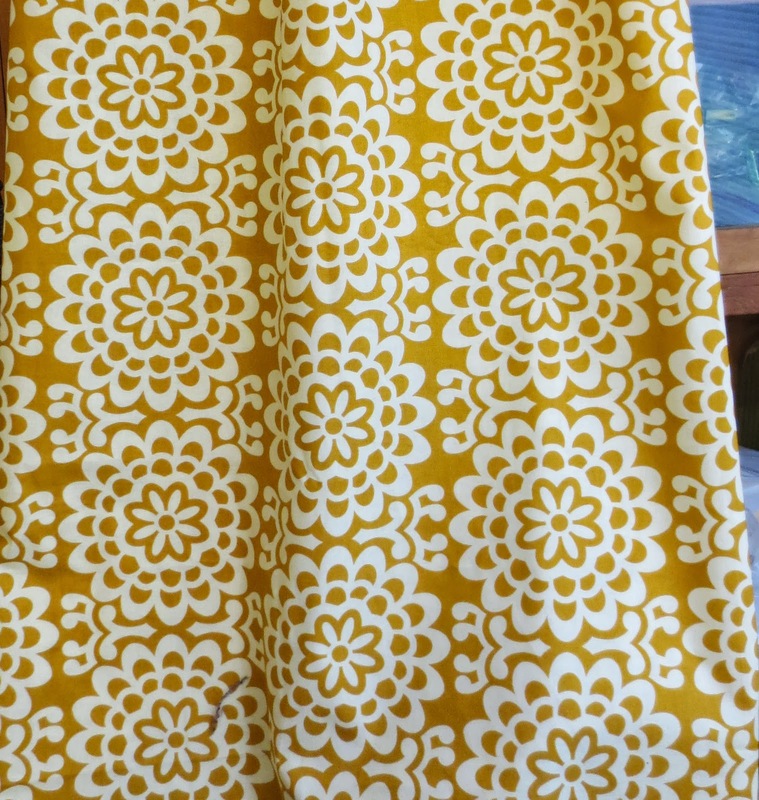 It's an older Amy Butler print - Wallflower in Mustard from the Lotus collection. It's one of those that I missed when it was widely available and I check etsy and ebay now and then to see if anyone is unloading some. I bought it for a steal and could probably make my money back 3 times over if I wanted to resell it but this stuff is going nowhere! It's one of the only fabrics I have truly "mourned" for having missed my chance to buy it when it was everywhere. Woohoo! Now I am going to challenge myself to use it within the next 6 months so that I can really enjoy it instead of having it sit in my stash. Hold me to that, okay?